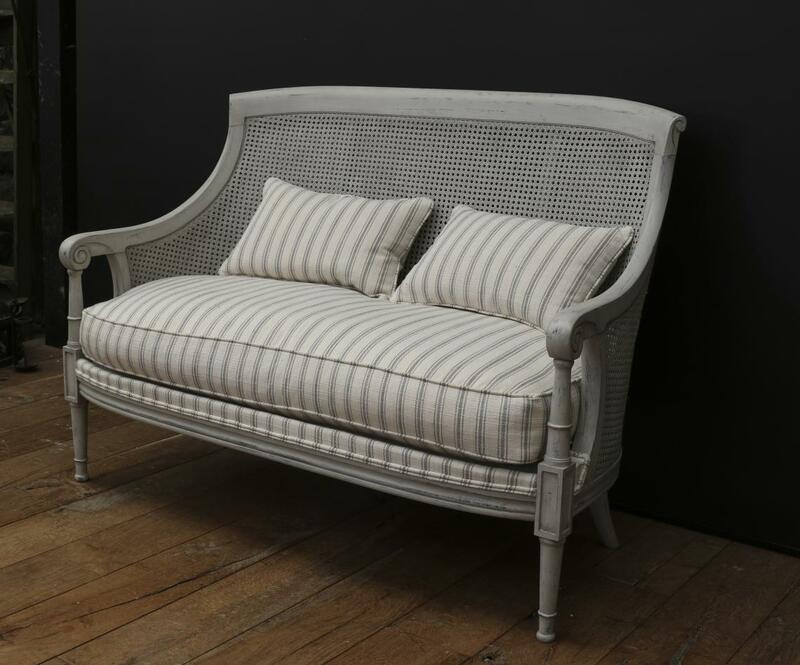 A lovely two seater cane bergere sofa in a Swedish grey paint finish and 'dove blue' brushed linen. 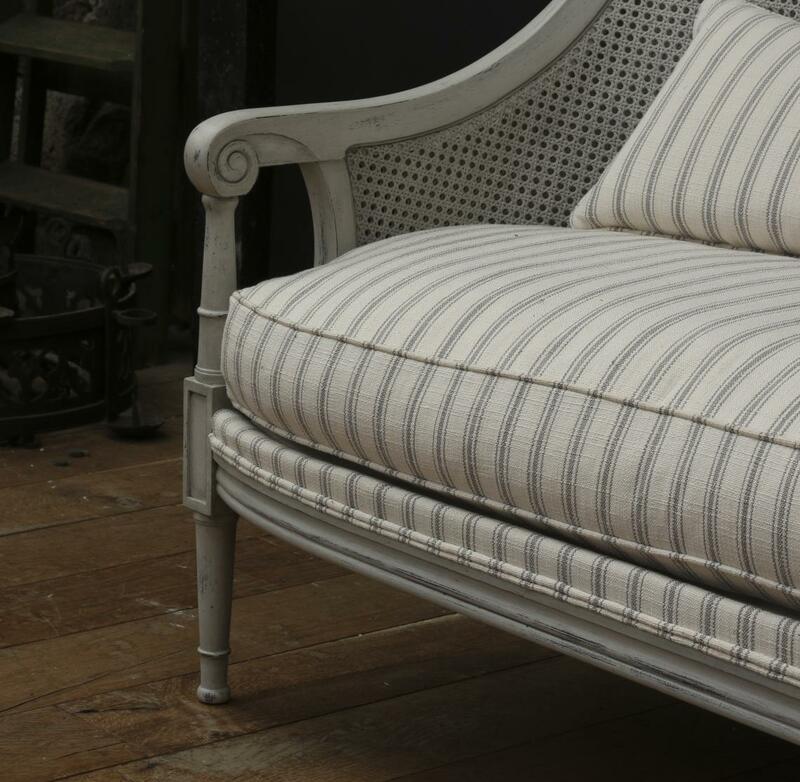 We represent a wonderful French company which manufactures beautiful chairs and sofas, including this Bergere which is also available in a chair (see stock number #9337). 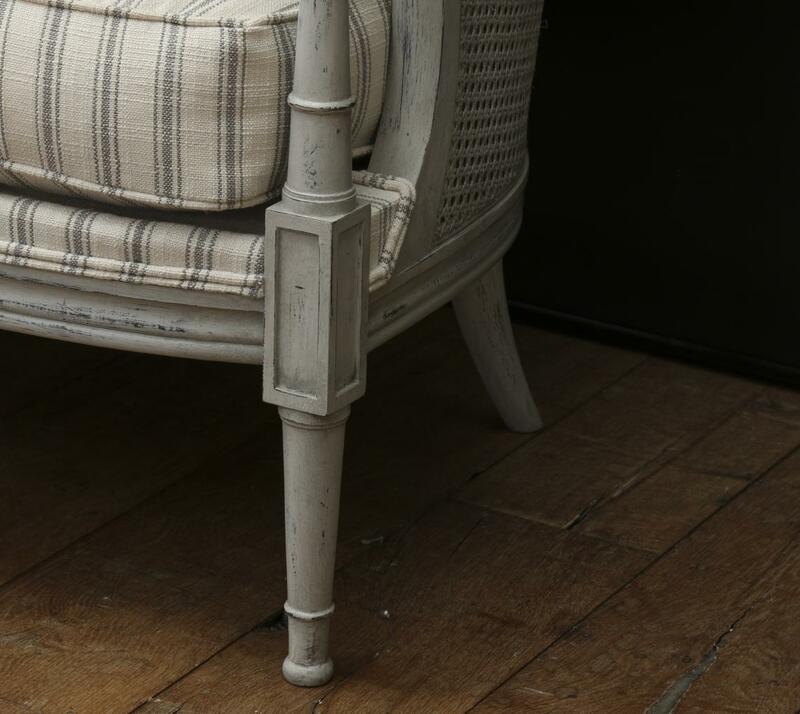 The frames come to us in their raw state, unpolished European beech, so their finish is customised i.e. 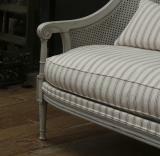 paint or polish, with upholstery and cushions of your choice. 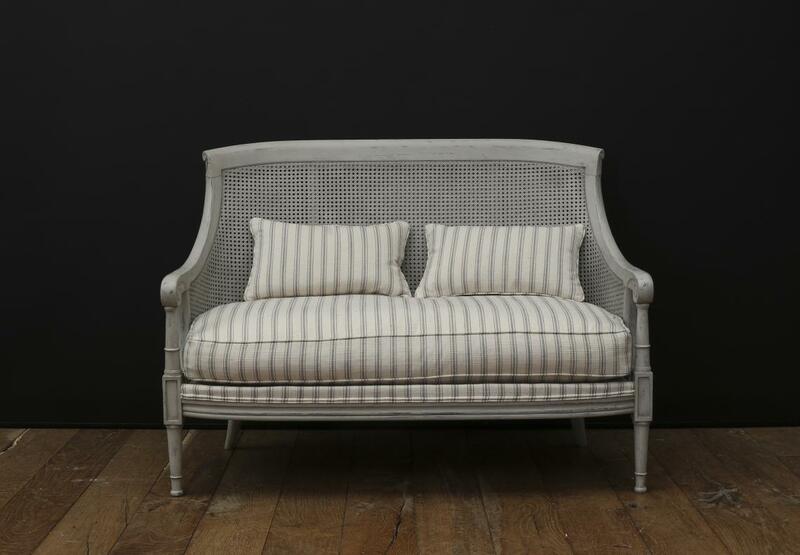 Bergere pictured here with two half cushions. If you are interested in this piece or would like more details please call us on +64 9 529 1660 or email info@js.co.nz quoting #108-56.